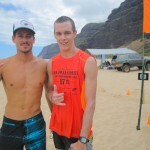 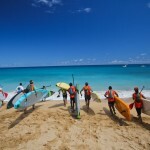 It may be a grueling athletic competition, but being set against one of the world’s most breathtaking backdrops is what makes the annual Na Pali Race (Sunday, Aug. 3) so unique for everyone involved. 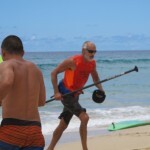 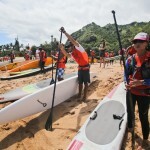 Now in its fifth year, the Na Pali Race offers paddlers of different disciplines and skill levels a chance to test themselves along the northwest coast of Kauai, inaccessible other than by foot or boat. 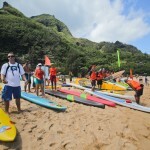 Starting at Haena Beach Park, stand-up paddlers, prone paddlers and one or two-person outrigger canoes will make the 17-mile trip along the Na Pali Coast and reach the finish line at Polihale State Park. 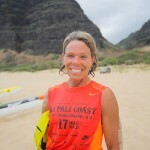 When asked to write a story about The Na Pali race, I cannot help but feel the English language would not do it justice. 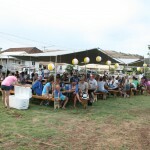 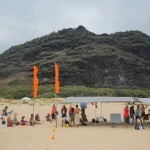 August 4, 2013 marked the 4th annual Na Pali Race, a day that I look forward to all year. 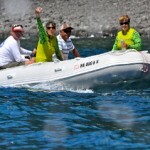 In my experience the magic of the Na Pali race starts at the finish line of the Molokai-Oahu Channel crossing, only 7 days before the Kaua’i race. 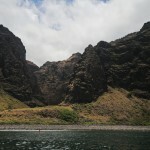 I say magic because in a state of pure exhaustion, a place where happiness SHOULD BE a cold beer and no paddleboards in your peripheral vision I can not help but limit my Longboard Lager consumption, continue to talk board design and be thoroughly stoked that I am on my way to Kaua’i. 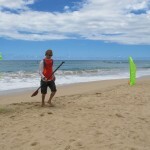 What better place to relax tired arms right? 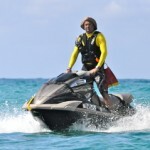 Ya absolutely! 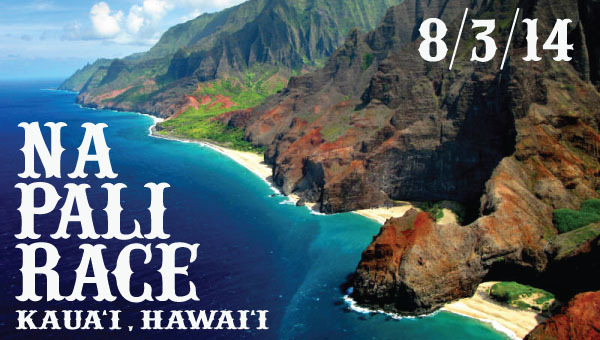 Those travel magazines are right, you wouldn’t be tempted to go for a visit or anything, the island doesn’t have much to offer! 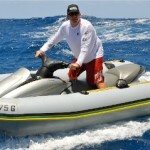 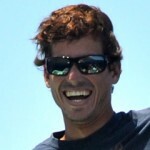 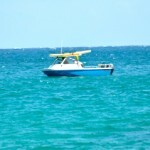 Back on track, race day started with a final check of the conditions, trade winds 15-17 knots, sustained wind speed 16 mph. 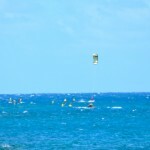 With the previous days gusting 20+, looking good! 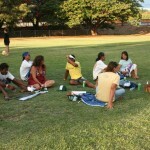 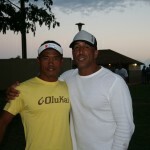 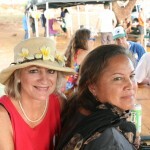 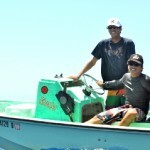 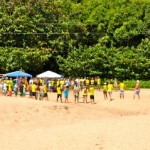 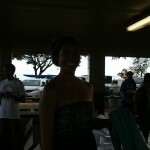 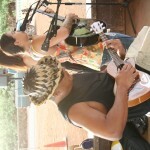 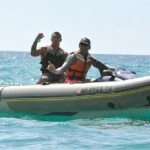 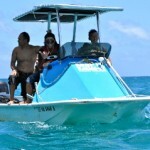 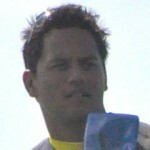 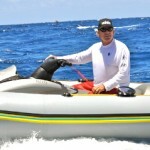 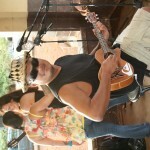 After a grounding pule (ceremony) from Kelvin Ho from Na Pali Coast ‘Ohana Foundation the races were on! 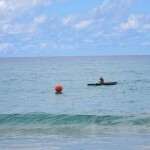 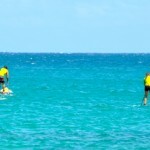 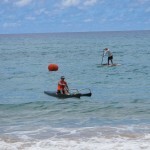 First in the water is the ‘fun run’ giving paddlers an opportunity to participate in the event without competition. 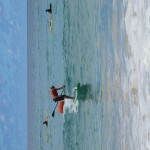 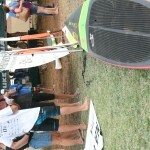 Next up is the open paddleboard and sup division. 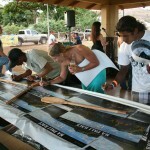 As the reputation of this event increases so does the competition. 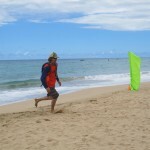 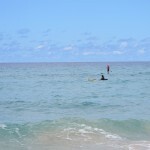 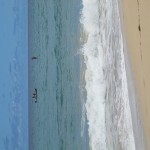 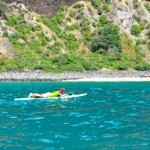 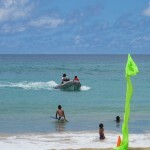 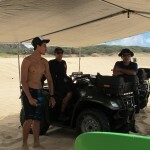 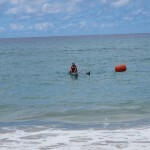 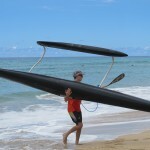 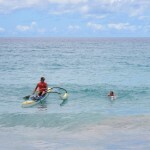 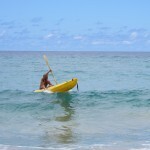 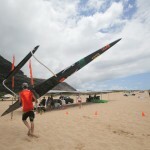 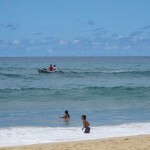 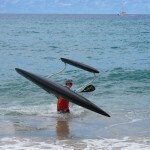 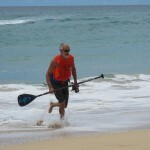 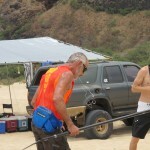 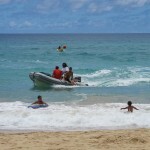 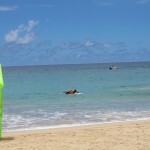 At 11am the horn blew and we hit the water, charging out of Tunnels (Makua) Beach and towards an inviting wind line. 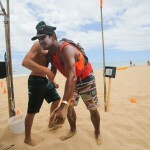 From the start I found myself battling back and forth with South Africa’s Ryan Butcher going bump for bump and at one point we caught the same bump and collided into each other! 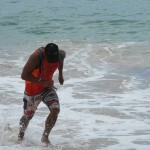 It was on! 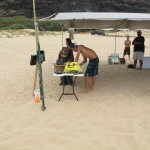 And so were the conditions! 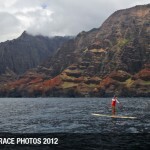 It seems the Na Pali has a knack for stacking some in incredible runners! 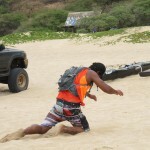 One after another, after another…and another! 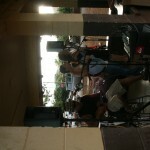 It was all time for 12 miles! 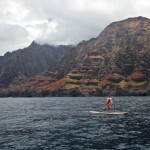 Anyone who paddled today could not only claim they have paddled the Na Pali but it would be equally accurate to say they surfed it too! 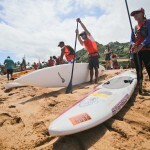 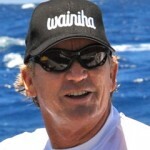 Then just around the Miloli’i corner came the notorious Polihale stretch where one must put their head down and paddle the last few miles of the race in flat water. 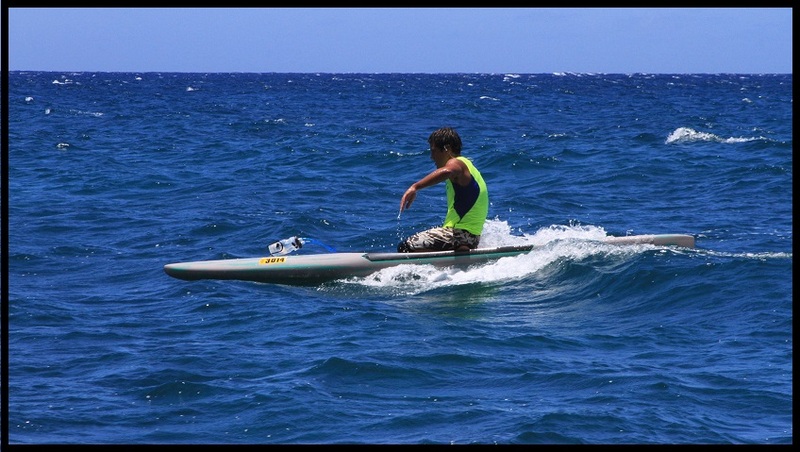 This part of the race adds motivation for the downwind specialist to give it all you got in the bump dissolving any possibility for a come from behind flat-water hero. 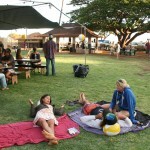 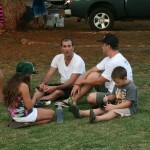 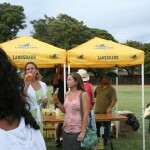 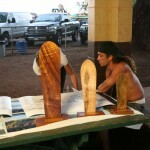 As the day comes to an end under the pavilion in Kekaha Park the feeling of gratitude and inspiration are one of the most popular topics of conversation. 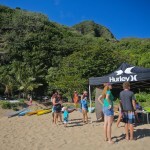 Good music, food and drink are accompanied by epic goodie bags and a legendary raffle including multiple GoPros, sunglasses, headphones and even a surfboard shaped by one of Kauai’s best shapers Will Scovel. 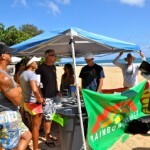 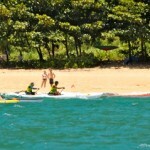 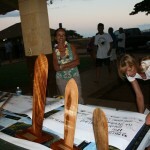 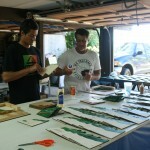 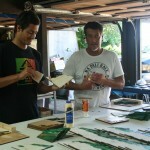 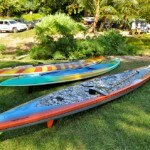 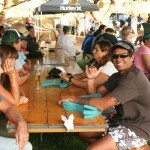 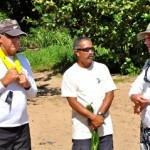 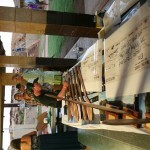 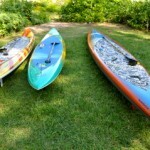 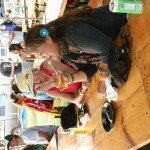 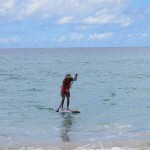 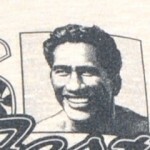 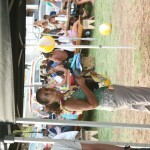 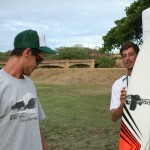 Koa wood trophies, cash and other prizes are given paddlers who place even beyond top 3 in board divisions. 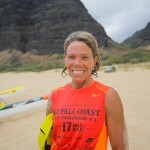 The essence of the Na Pali race is to bring like-minded people together to perpetuate the innate good we recognize in ourselves and the Na Pali Coast. 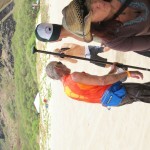 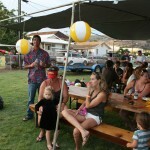 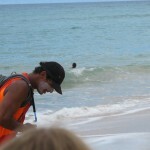 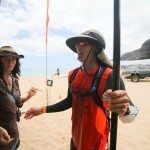 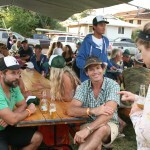 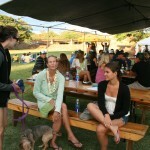 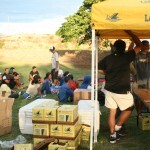 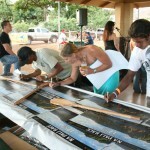 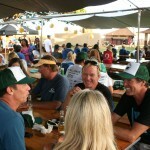 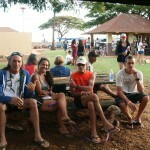 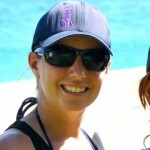 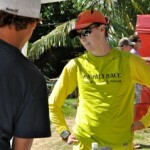 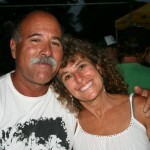 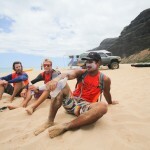 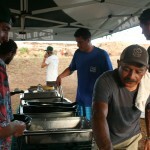 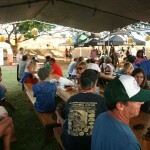 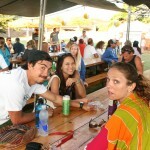 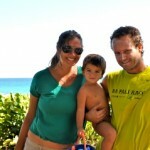 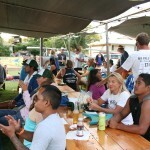 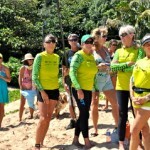 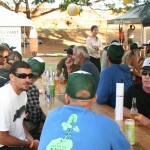 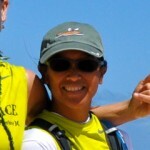 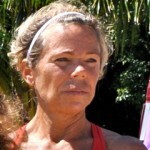 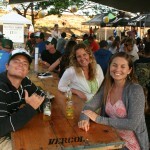 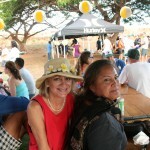 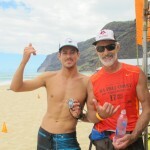 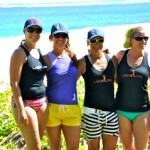 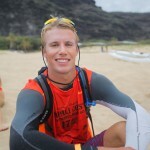 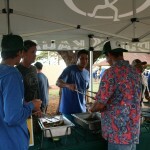 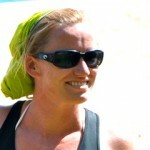 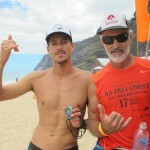 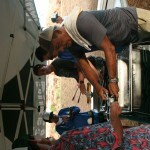 The race raises money for the Na Pali Coast ‘Ohana who are the stewards of this most special place. 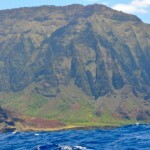 In a time when corporate greed and GMOs are dividing a passionate small island, its nice to remember that the Na Pali coast once supported one of the largest, thriving populations of Hawaiians. 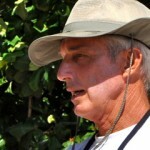 Working with the land, in connection, the land supported them abundantly. 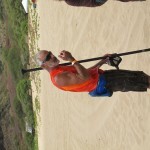 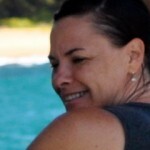 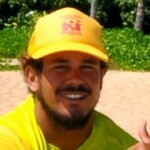 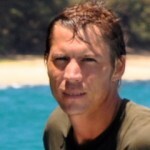 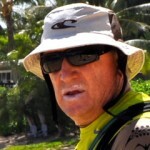 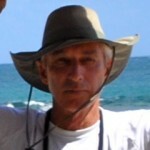 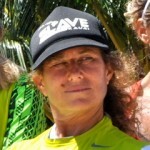 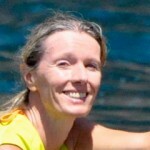 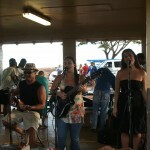 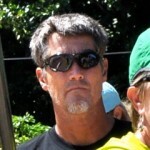 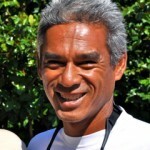 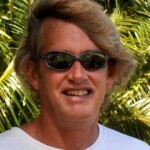 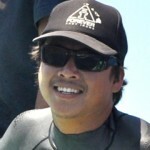 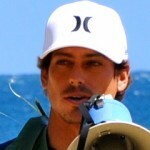 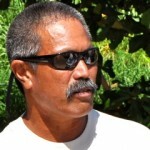 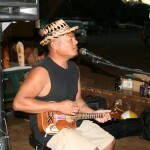 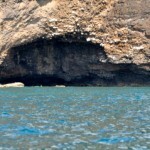 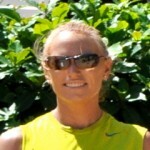 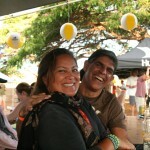 I am grateful to be able to donate a portion of my prize money to The Na Pali Coast ‘Ohana. 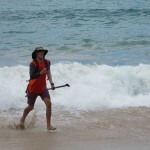 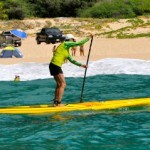 I encourage anyone who enjoys paddling weather traditional, sup or canoe to experience this event. 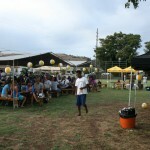 It is an event based on giving that reaches all demographics. 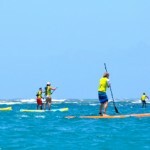 From casual paddlers to the experienced competitor, everyone shares a day of great people, friendly atmosphere, awe-inspiring beauty and world class conditions. 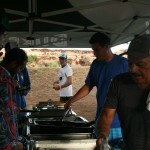 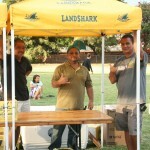 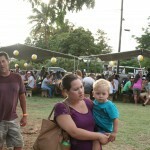 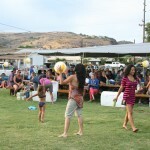 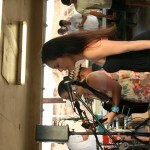 Thank You Evan Valiere and ‘Ohana for putting on another epic event! 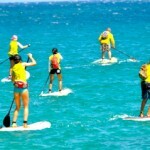 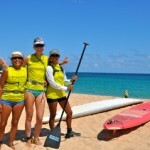 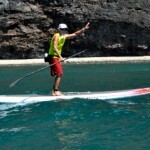 The Na Pali Paddleboard Race is THE destination race that should be on every paddle boarders bucket list. 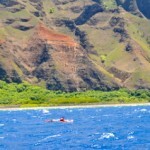 If you are looking for a destination race this summer, you want to extend your Molokai 2 Oahu trip by a week, or you didn’t make it to Molokai this year but you still want to test yourself in a Hawaiian downwind race – you need to be visiting Kaua’i in August. 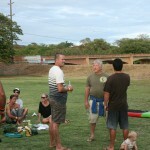 The opening ceremony prayer (pule) will be at 8 :45. 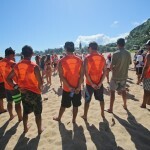 The prerace safety and rules briefing will be held at 9:00, and the divsion’s are as follows. 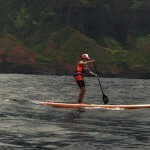 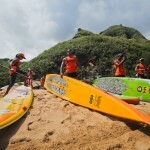 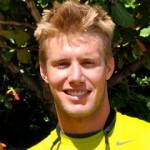 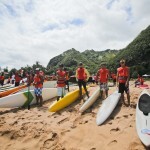 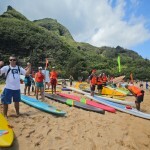 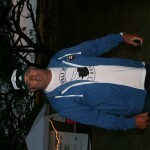 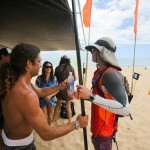 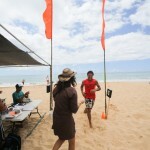 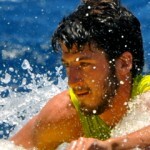 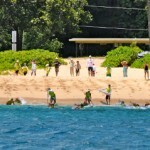 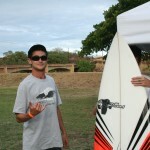 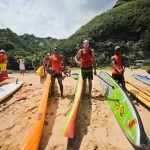 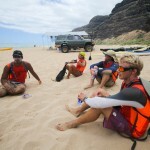 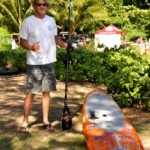 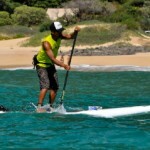 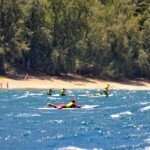 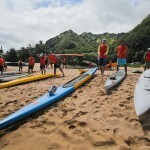 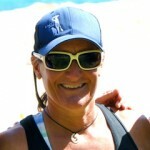 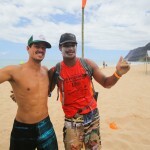 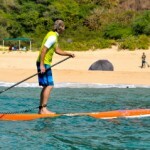 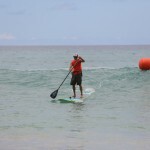 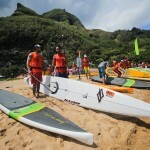 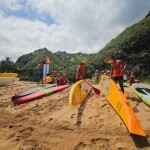 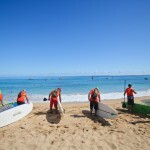 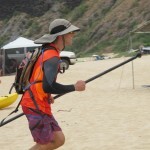 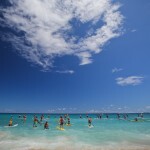 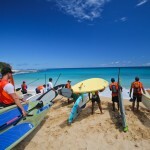 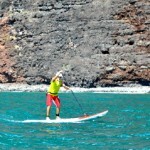 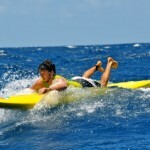 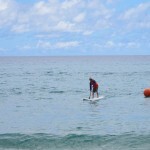 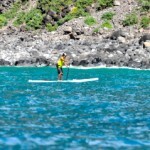 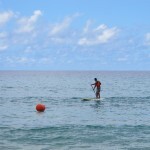 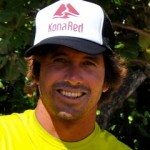 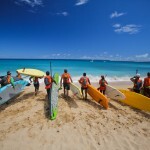 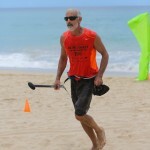 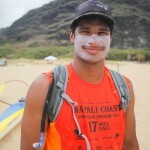 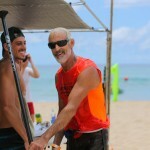 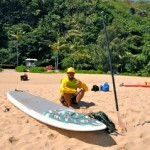 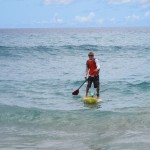 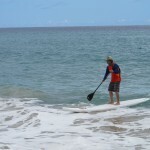 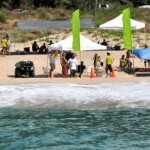 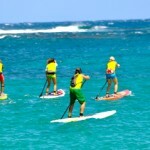 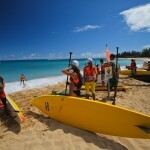 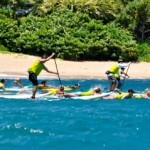 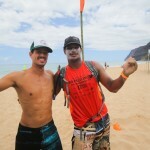 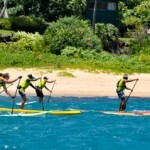 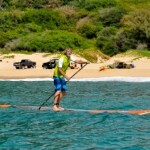 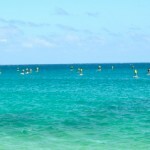 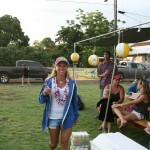 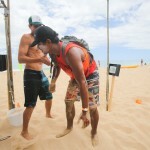 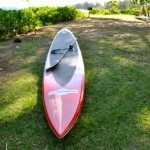 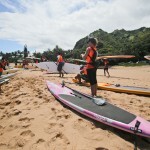 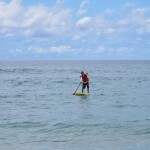 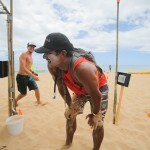 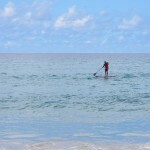 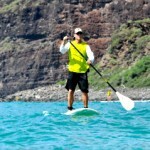 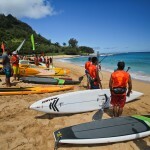 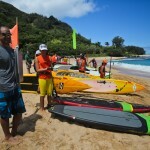 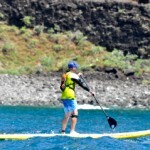 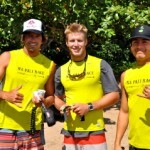 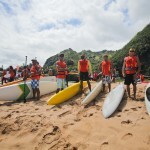 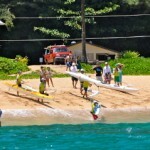 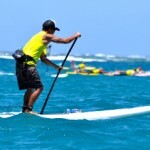 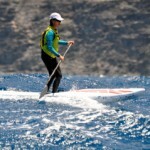 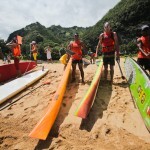 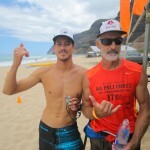 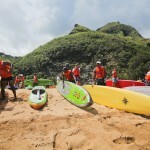 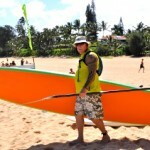 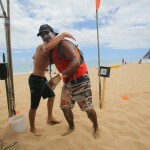 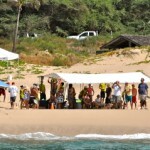 The Na Pali Race will launch first heats of Fun Run and Surfboard SUP Division at 9:30 am. 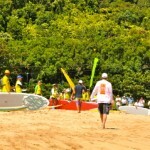 The teams will follow at 10:00 am. 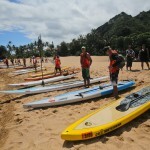 First Pickup for shuttle service is at 7:00am at Kmart parking lot across the street from King Auto Center in Lihue. 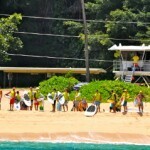 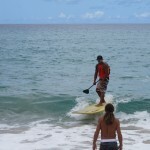 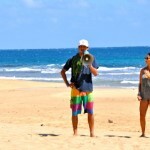 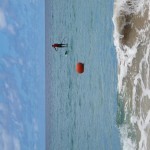 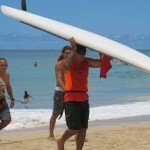 Next pick up is at 7:45 at Hanalei Surf Co.
Bring tie down straps and padding for your boards. 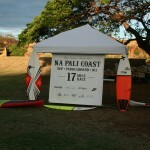 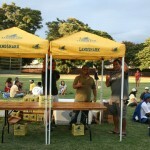 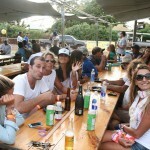 If you have photos from the event and are willing to share please email napalirace@gmail.com. 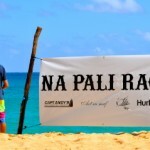 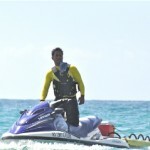 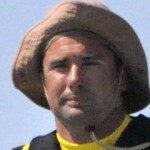 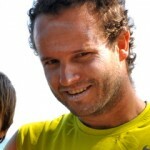 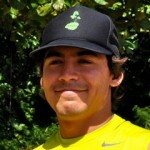 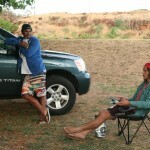 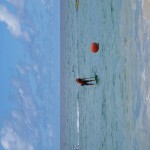 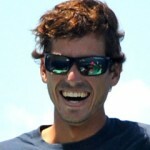 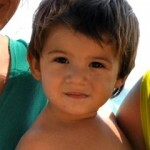 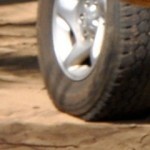 Also, stay tuned to NAPALIRACE.COM for more updates and video clips soon to come.